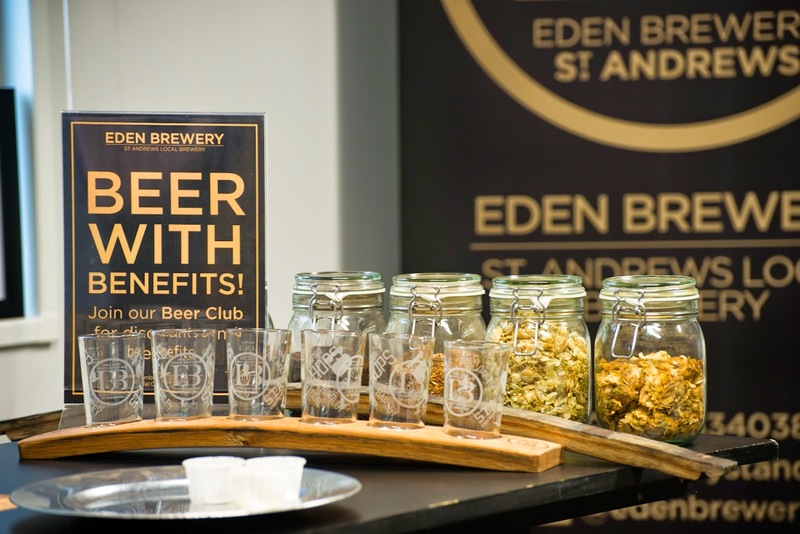 Recently there has been an explosion in creativity within the beer brewing industry everywhere and St Andrews is no exception to the craze. 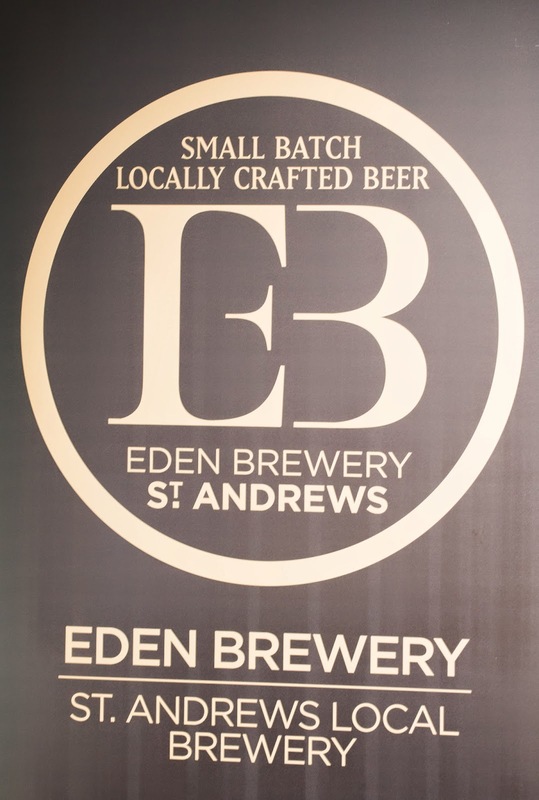 Eden Brewery have been operating since 2012 and have created 25 different brews, each with different flavours. Soon they are even going to start experimenting with whisky and gin distilling. It begun with Gill from Hello Chocolate! who talked us through the evolution of chocolate - with lots of audience participation as we went. 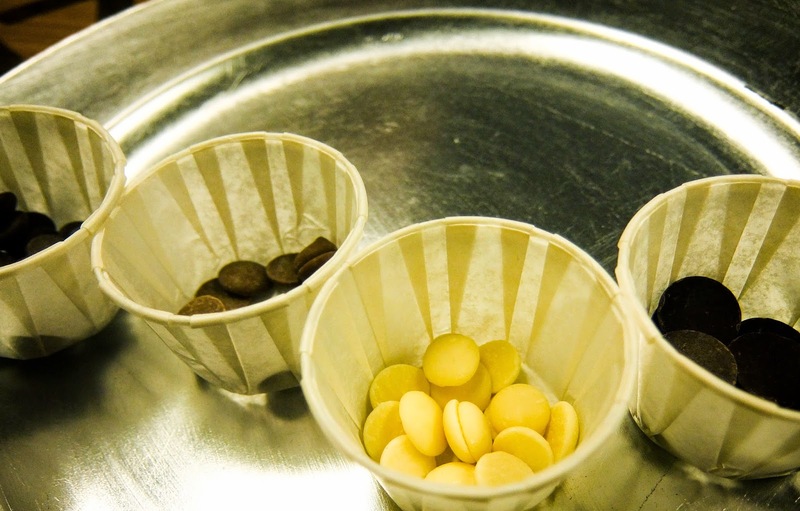 We got to sample some very bitter chocolate nips and cocoa butter before working down the chocolate scale; first we nibbled 100% cocoa chocolate, then 70% and 36% all the way down to 23% white chocolate. We were also given a run down about beer and the brewery. 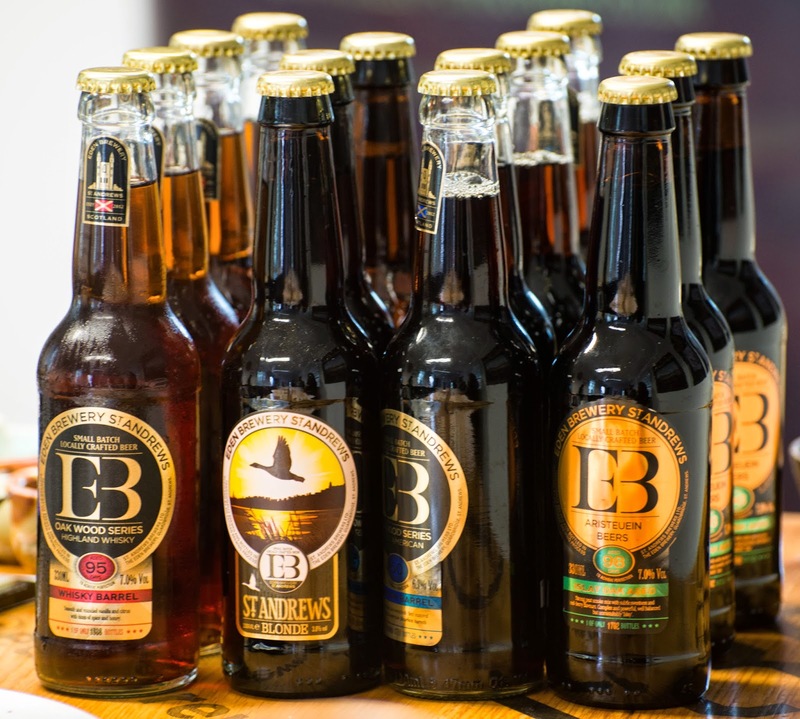 We smelled two of the vital ingredients in beer: malt and hops, and how it is the manipulation of these and the other key ingredients of water and yeast that create all the different flavours. 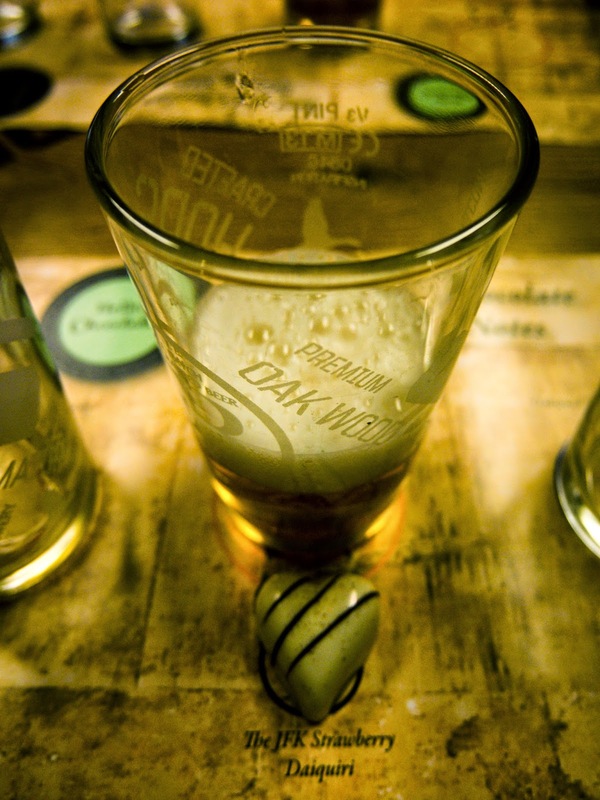 We had four pairs of beer and chocolate to taste, each with different flavours which changed as you drunk the beer. The method for trying the pairing is sip, nibble, sip so you get all the flavours and taste the change! 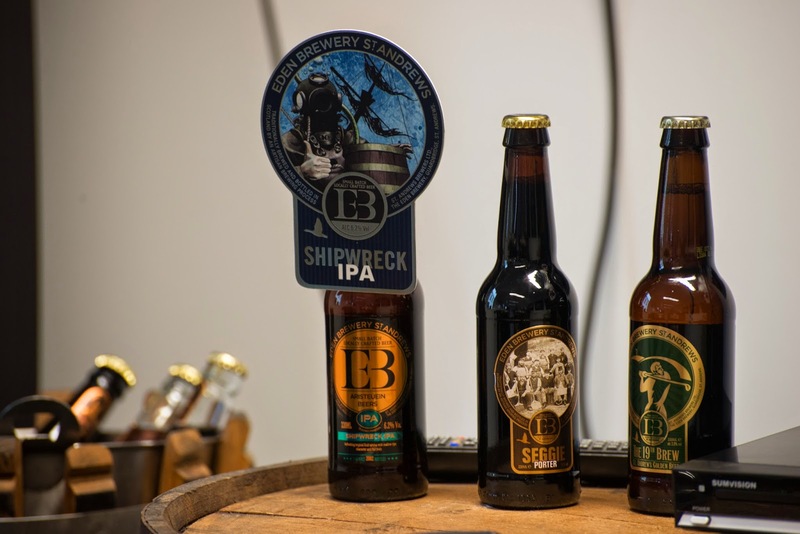 The beer had been left in a whisky barrel for three months and you could really taste the hints of whisky. However there was also a real spicy and fruity flavour that was brought out by the chocolate that tasted just like Christmas. 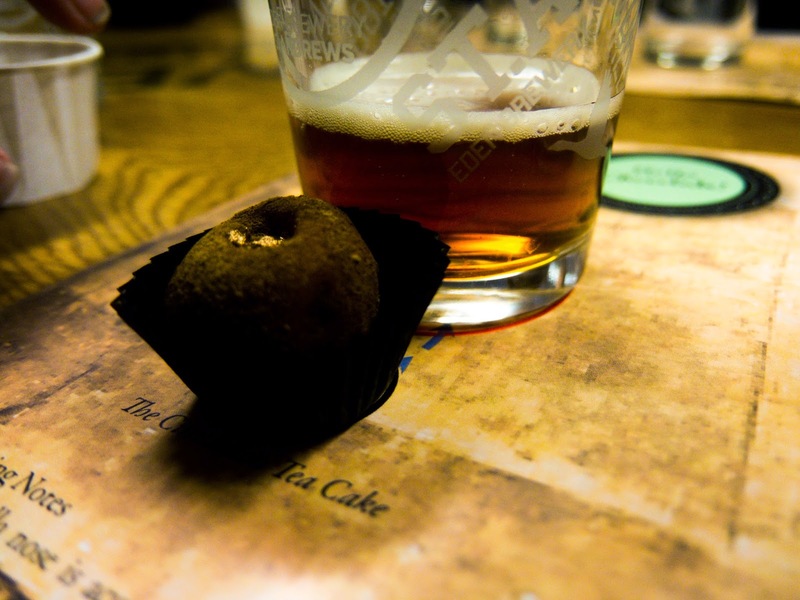 The tea cake was a lovely soft white chocolate ganache loaded with different fruits which gave it a sweetness that softened the bitterness of the beer. This was the simplest and easiest beer for me to drink (I'm not a big beer drinker), which you would expect from a blonde. 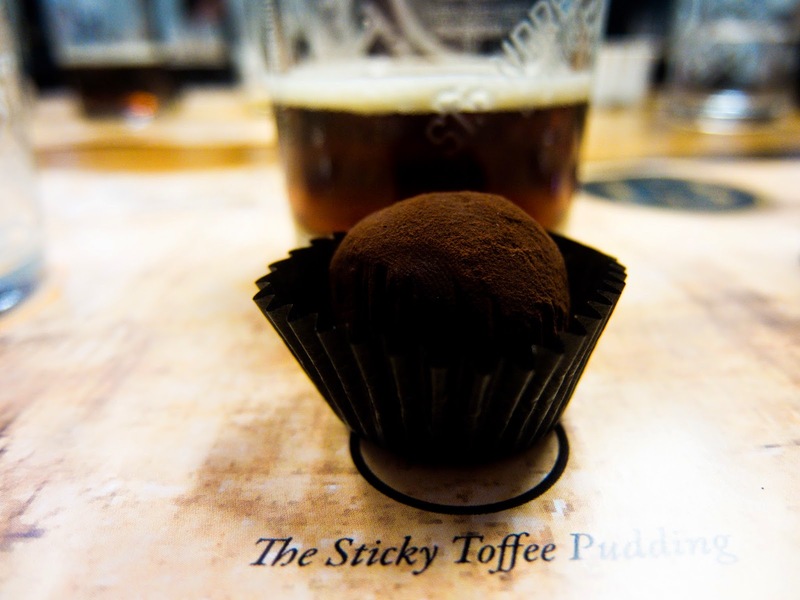 Its lightness worked really well with the extremely fruity and delicious liqueur filled chocolate. But be warned its filling is liquid so eat it in one go. Another beer with a twist, this time having been left in a bourbon barrel. This combination was my favourite, the chocolate was very soft and smooth. It really brought out the caramel tones in the beer which is dark and full flavoured- usually the opposite of what I would look for in a beer. Twists of vanilla in both the beer and chocolate really complemented each other. 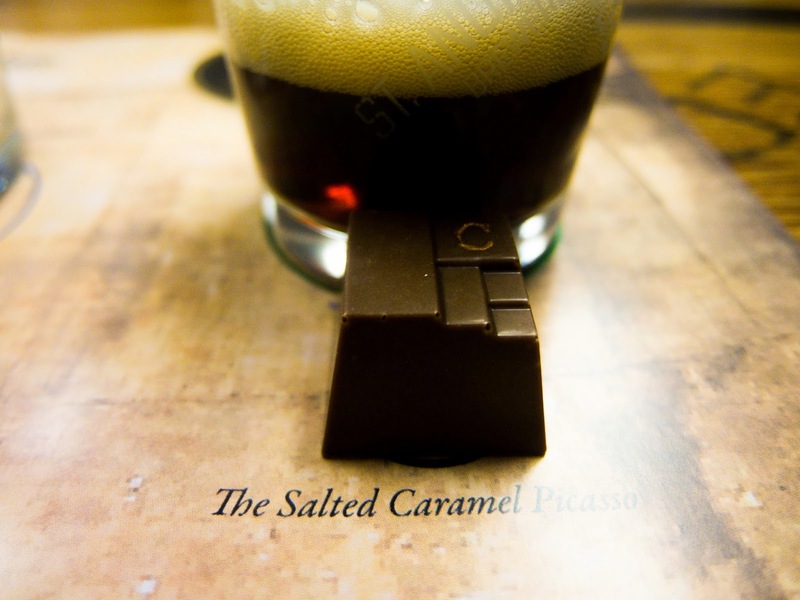 This pairing was probably the best example of how chocolate and beer can really go well together and even change the taste of one another. Tasting the beer to begin with I wasn't a fan, it was too dark and smoky (again coming from the barrel it is aged in). However when combined with the delicious salted caramel it really came alive. Suddenly the smokiness of the beer had hints of sweetness and the full richness wasn't overpowering, it was a really dramatic change. The four pairings gave us a really good taste of how chocolate and beer can work together and discovering how was a really nice and informative activity. 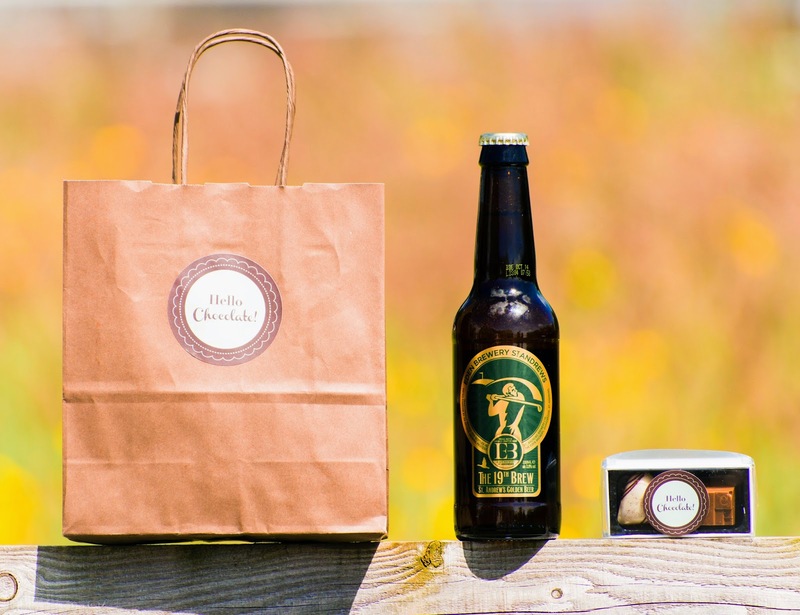 It was also lovely to leave with a little gift bag with our own chocolates and a bottle of beer. If you want to try your hand at pairing there are events scheduled to be held twice a month, and although the price isn't set yet it should be around the £10 mark. 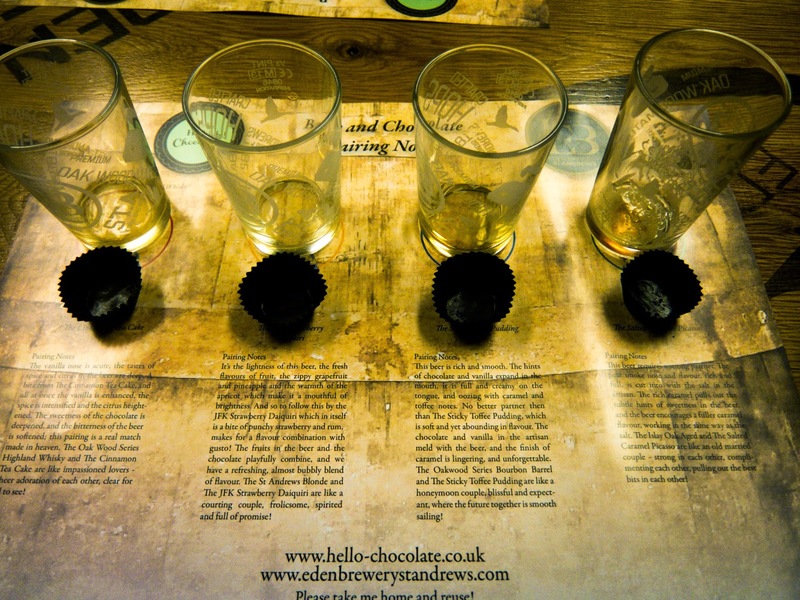 I was a guest of Eden Brewery and Hello Chocolate! however, as always, all opinions and views in this post are mine.